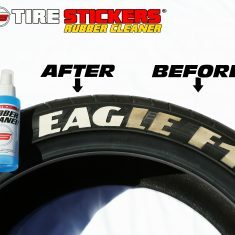 Permanent Tire Stickers Cleaner – This cleaner will touch up dirty Raised Rubber Permanent Tire Stickers, even after 1,000’s of miles of driving. 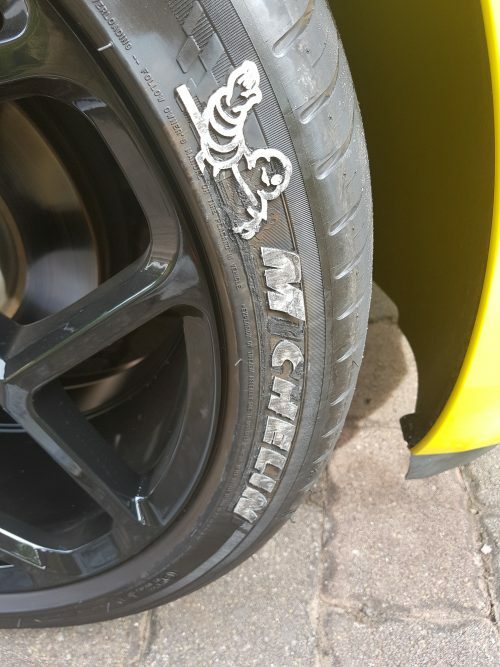 To prevent the acceleration of discoloration, do not let tire shine products remain on the display surface area of decal. 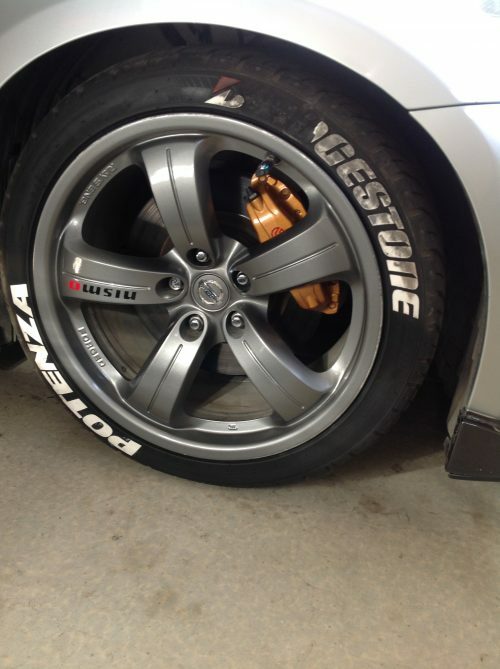 After applying tire shine products to your tire, wipe clean the top display layer with a rag or towel. To use this cleaner, spray onto rag or towel and wipe decals clean. Acetone will help remove difficult stains or any extra adhesive.